your garbage company refuses to accept. need to get rid off. issue of the past. We get everything off your property within no time. We do Free Scrap Metal Pickup,Free Appliance Removal,Junk Cars & More. Full Service Garbage, Clutter, Trash,Rubbish & Scrap Metal Trucking. ALWAYS FREE Junk Car Removal Including All Semi Trucks & Trailers. Services for effective Industrial Metal Removal,Surplus and Much More. 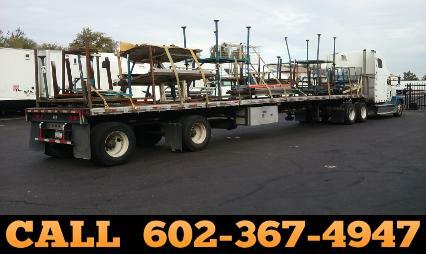 Call or Text Pictures To 602-367-4947 For Fast Junk Removal. from pickup trucks,box trucks to 18 wheelers. of Surplus, Excess and any Warehouse junk.